3D printing has been described as nothing short of a new industrial revolution that holds potential for major innovation in terms of business models and consumption patterns. This technological development is part of the 4th industrial revolutionthat is characterized by a range of new technologies fusing the physical, digital and biological worlds, impacting all industries including luxury fashion. Author Supercharg3dPosted on 3rd December 2017 5th January 2018 Categories Industrial Uses, Paradigm ShiftTags FashionLeave a comment on 3D Printing in luxury fashion: Revolution or Evolution? Ministry of Supply is a company best-known for their no-holds-barred approach to solving the most common complaints professionals have with their clothing. Founders Aman Advani and Gihan Amarasiriwardena met at MIT and launched their startup on Kickstarter a year later. In order to prove just how serious they were about comfort — since fit can more or less be conveyed in flat, 2D images while window shopping online — one of the founders even ran a half marathon in one of the company’s suits. But they’re not just out to make a point, and it’s far from gimmicky — even though the novelty of what they’re achieving might allude to something otherwise. As natural symptoms of the new processes and clothes they’re creating, Ministry of Supply is making measured, definite growth and actually impacting (with the exponential possibility of much more impact in the future) on the supply chain itself. 3D printing is often touted as the technology of the future. As it progresses, we will continue to see innovation and changes in manufacturing we simply never imagined. Nearly every industry is already seeing an impact though, whether minor or major, and designer Maria Alejandra Mora-Sanchez is quick to point out that she sees 3D printing as the future of fashion. We are listening to what the 2017 Red Dot Award winner has to say— as well as enjoying taking a look at her incredible new designs. Mora-Sanchez was surprised to see such a lack of 3D printing in fashion as an industrial design intern and decided to make that the focus of her thesis. 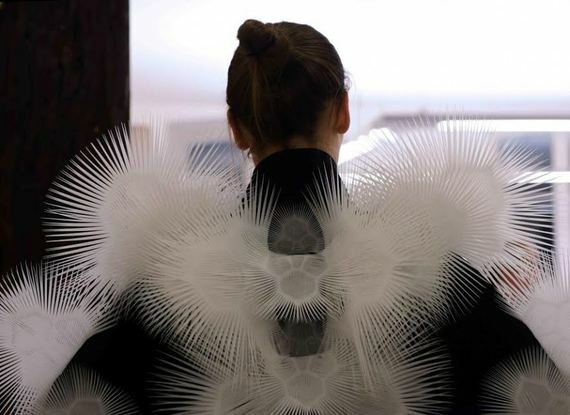 She worked with Cosine Additive to make some incredible 3D printed clothing patterns. 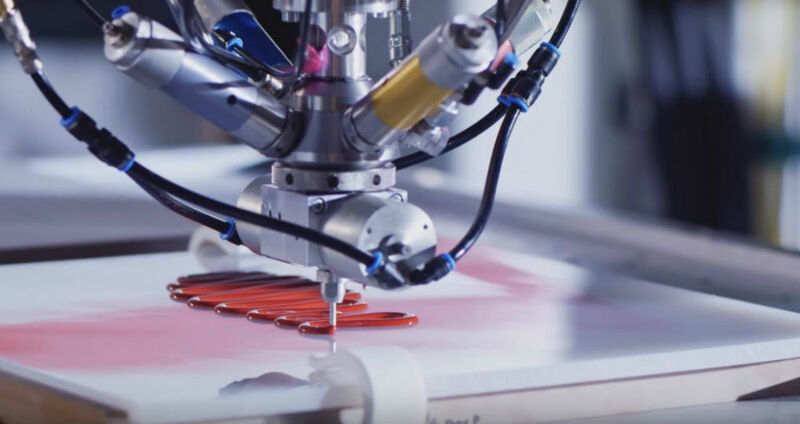 The world of fashion retail could be completely revolutionized in the upcoming years, with the influence of 3D printing technology, and a new software solution released this year could be one of the first major signs pointing the way forward for the industry. Hitting the market in September, Share Cloth’s application of the same name will be compatible with Windows and Mac OS, and it will allow designers to create 3D designs for products or garments that can be 3D printed. The current state of the global fashion industry seems unsustainable for a number of reasons. Most garment production takes place far away from the initial design centers or sales locations, in high-output, low-wage economic environments. This long-distance supply chain is made even more complex and unwieldy by the dominance of huge high street and online retailers, which require an intermediary network of warehouses and distribution centers. When a designer comes up with a new idea for a product, it can be sometimes up to 6 months until the garment line is available for sale to customers. It’s been a big week for shoes and 3D printing, as just yesterday New Balance released their (extremely) limited edition MS066 sneakers with 3D printed midsoles, and now Adidas has announced their innovative UltraBoost Uncaged Parley sneakers, made almost entirely from recycled ocean plastic and which owe much of their development to 3D printing technologies. Just a year ago, Adidas teamed up with Parley, an organization dedicated to raising awareness about ocean pollution and plastic waste, to design a shoe that could be made from recycled ocean plastic. The result of that experiment was an impressive footwear specimen, which combined recycled plastic materials and Adidas’ 3D printed Futurecraft midsole. While the shoes marked a step forwards for sustainable footwear, they were not exactly retail ready, and were more significant as a concept shoe. Now, however, Adidas and Parley have moved forwards once more with the unveiling of their UltraBoost Uncaged Parley sneakers, which go on sale next month and will be retailing for $200 a pair. Initially, Adidas will be releasing 7,000 pairs of the new recycled sneaker, but reportedly hope to have over a million pairs available within the next year or so. Author Supercharg3dPosted on 31st October 2016 6th February 2017 Categories Industrial Uses, Supply Chain Impact, Supply Chain ModelsTags Fashion, Supply ChainLeave a comment on Scan, print, wear – does the future of fashion lie in 3D?